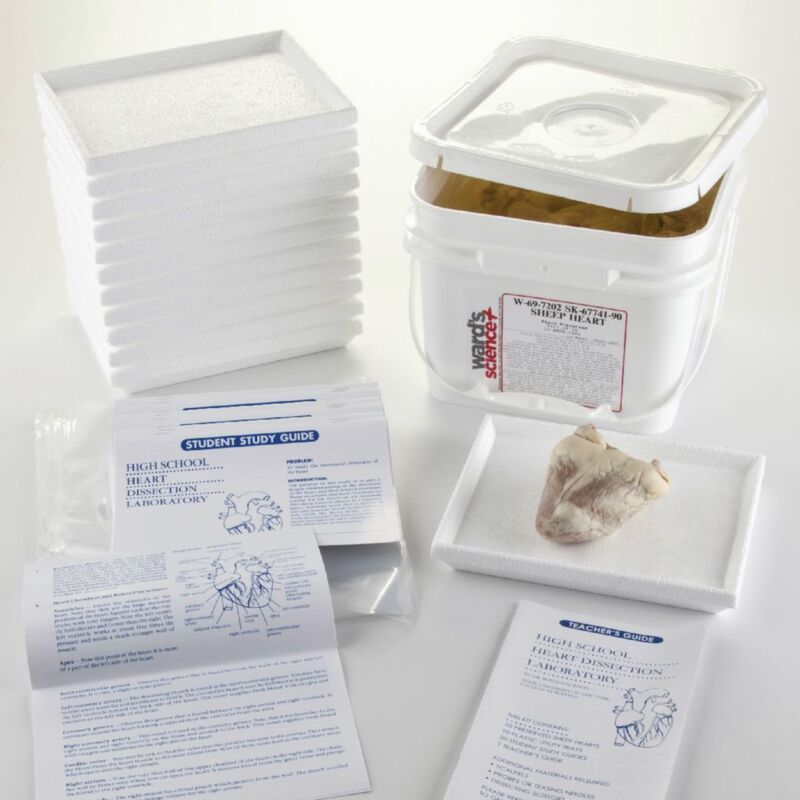 With this Complete Sheep Heart Dissection Lab, you’ll receive: 10 high quality specimens that are easy to pin and dissect, packed in formaldehyde-free Borealene II. 20 student manuals with pre-test, post-test and easy to follow step-by-step instructions. 10 disposable dissection trays that offer direct pinning to the surface with no cleanup or resurfacing. Teacher’s guide with student objectives, teaching hints and answers to student tests. Replacement Student Manuals and Teacher’s Guides may also be purchased separately. Note: Ward's® preserved sheep materials is a byproduct of the food industry. Sheep are not raised specifically for dissection. These animals are "recycled" for educational use.